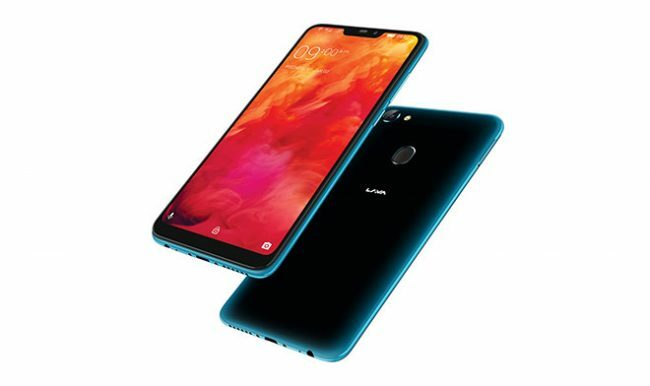 Lava International has launched today their Lava Z92 smartphone with notch display. Priced at Rs.9999, this phone comes in Ocean Blue- Black Gradient finish to give it an appealing look. The Lava Z92 is equipped with an 8MP camera at the front for capturing selfies and is embedded with 13 MP camera at the rear with a Dual LED flash. It comes with Bokeh feature and AI Studio Mode allowing users to take pictures using 6 different camera modes. This phone flaunts a 6.22 inch HD+ notch display (1520×720 pixels) & a sleek 8.04 mm thick body. It has a tough and scratch resistant Corning GG3 cover glass making this device more durable and reliable. It is packed with 3260mAh battery which can last up to 1.5 days, with a single charge. This phone is powered by 2.0 GHz Octa Core Mediatek Processor- Helio P22 alongwith 3GB RAM and 32GB of internal storage which can be extended upto 256 GB. This phone runs on Android 8.1 (Oreo). It offers connectivity options of 4G VoLTE, WiFi 802.11 b/g/n, Bluetooth 4.2 and GPS. For security, it has fingerprint sensor on the back.